Emily Wisnosky: An attorney-at-law admitted to the California bar, she currently participates in the WADC 2015 Commentary research project as a doctoral researcher. 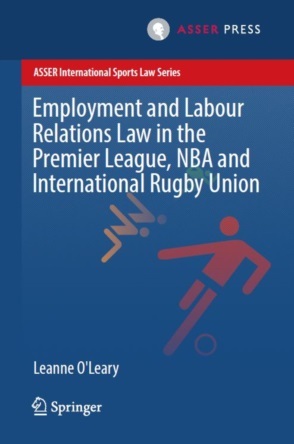 She also holds an LLM from the University of Geneva in International Dispute Settlement, with a focus on sports arbitration. Before studying law, she worked as a civil engineer. Doping often results from the illegitimate use of a therapeutic product. As a result, many Prohibited Substances and Methods are pharmaceutical innovations that are or have been developed to serve legitimate therapeutic purposes. Much is being done within the anti-doping movement to coordinate efforts with the pharmaceutical industry in order to prevent abuse of drugs that have been discontinued or are still in development phase. Conversely, at the other end of the range, some Athletes may require legitimate medical treatment and wish to receive that treatment without being forced to give up their sports activities. This post takes a cursory look at how the World Anti-Doping Code (“WADC” or “Code”) tackles these issues and provides a summary of the main changes that affect the modalities for Athletes to receive medical treatment after the 2015 revision. The first part discusses the avenues open to an Athlete to compete while under treatment, namely by applying for a Therapeutic Use Exemption (“TUE”) or, in some cases, navigating the provisions governing conditionally prohibited substances. The second part addresses the consequences in case an Athlete should fail to take the proper avenues. The post closes with observations regarding the current system in light of one of the pillars of the anti-doping movement: the Athlete’s health. § Provides a streamlined process for Athletes seeking international recognition of a national-level TUE. These Athletes are now relieved from having to go through a whole new application process if they already have the benefit of a TUE granted by their NADO: they can have the TUE “recognised” by the International Federation, which “must” grant such recognition if the TUE is in compliance with the International Standard for Therapeutic Use Exemptions (“ISTUE”). § Encourages the automatic recognition of TUEs. ISTUE 7.1 newly encourages International Federations and Major Event Organizers to declare automatic recognition of TUEs, at least in part – e.g. those granted by certain selected other ADOs or for certain Prohibited Substances. Another key procedural change reflected in the 2015 revision is an increased storage time for application data, in accordance with the extended statute of limitation period for initiating anti-doping proceedings from 8 to 10 years (revised WADC 17). During the TUE process, the application must include the diagnosis as well as evidence supporting such diagnosis. This sensitive medical data is newly stored for 10 years under the revised 2015 regime for the approval form (versus 8 years under the 2009 regime). All other medical information must be kept for eighteen months from the end of the TUE validity. Necessity for use not a consequence of prior use without a valid TUE. § Places the burden of proof on the Athlete. The 2015 ISTUE received an explicit addition that confirms and codifies the interpretation of the CAS panel in the recent ISSF v. WADA award (Article 4.1, in initio): “An Athlete may be granted a TUE if (and only if) he/she can show that each of the following conditions is met” (emphasis added). While a welcome addition for legal predictability, the hurdle for the Athlete to overcome is high and can lead to nearly insurmountable evidentiary situations, such as in ISSF v. WADA regarding beta-blockers in shooting and lack of additional performance-enhancement. § Remains silent as to the standard of proof. The requisite standard of proof to establish these substantive criteria is still not explicitly stated. Although the issue was left undecided in ISSF v. WADA, the solution most in line with the WADC and general principles of evidence seems the “balance of probability”-standard, as per the general provision for establishing facts related to anti-doping rule violations (WADC 3.1). § Newly allows retroactive TUEs for “fairness” reasons. As a rule, TUEs must be obtained prior to using the Prohibited Substance or Method (ISTUE 4.2). Exceptionally, a TUE may be granted with retroactive effect, which mostly concerns lower-level Athletes for whom the applicable anti-doping rules accept such possibility (WADC 4.4.5), or for emergency situations (ISTUE 4.3). The 2015 ISTUE contains a new possibility to grant a retroactive TUE if WADA and the relevant ADO agree that “fairness” so requires. The scope of this new exception remains unclear. A recent award rejected an Athlete’s plea that (s)he did not “timeously” request a TUE based on ignorance of the system. One may wonder whether fairness related reasons could offer a solution for situations of venire contra proprium factum, i.e. when the Athlete received assurance from a competent ADO that the substance or method was not prohibited and the latter could thus reasonably be considered estopped from pursuing a violation based on a subsequent positive test. § Beta-2 agonists (class S.3) – e.g. Salbutamol, the active ingredient of “Ventolin” –widespread against asthma in endurance sports. “Limits of use” have been determined that are deemed to reflect an acceptable therapeutic use of the substance. § Glucocorticoids (class S.9), which have been the subject of debates for their use in sports medicine, are prohibited only when administered by certain routes (oral, intravenous, intramuscular or rectal). A contrario all other routes of application are permitted. § Applies a different burden of proof. Whereas the burden is on the Athlete to show that the criteria for a TUE are realised (see above), or to demonstrate the origins of the analytical findings to obtain a reduced sanction (WADC 10), for S.3 and S.9 substances proving dosage and/or route of administration is part of the requirements for a violation. A specific allocation of the burden to the Athlete is only provided in the Prohibited List for findings of Salbutamol and Formoterol above a certain Threshold. In all other situations, it ought to be sufficient for the Athlete to present credible explanations (e.g. listing the substance on the Doping Control form) that the Prohibited Substance originated from an authorised Use. The burden of proof ought then to be on the ADO to convince the hearing panel to a comfortable satisfaction (WADC 3.1) that a prohibited Use occurred. § Prefers short-cut procedures and transparency. The International Standard for Laboratories (“ISL”) introduces the “Presumptive Adverse Analytical Finding” to promote procedural economy by allowing a laboratory to enquire with the Testing Authority whether a TUE exists prior to the confirmation step of the A Sample for a S.3 or S.9 class substance (normally the presence of a TUE is determined after report of the Adverse Analytical Finding, during the initial review by the ADO). The revised 2015 regime maintains this pragmatic solution, but seeks to foster transparency in order to avoid this short cut from being abused by ADOs to stop cases from going forward. The 2015 ISL makes it explicit that any such communication and its outcome must be documented and provided to WADA (ISL 5.2.4.3.1.1). An Athlete who is undergoing legitimate medical treatment that involves a Prohibited Substance, but does not have a TUE might – if tested – return an Adverse Analytical Finding. As mentioned above, an anti-doping violation cannot be invalidated for reasons of legitimate medical treatment, save in exceptional circumstances where the system allows for a retroactive TUE or for authorized Use of S.3 & S.9 class substances. Thus, Athletes will typically first turn to the options in the sanctioning regime to reduce or eliminate the sanction for Fault-related reasons. The success of this effort varies considerably from case-to-case, with no clear pattern emerging in the CAS jurisprudence. The 2015 WADC has not improved the clarity of the situation for violations involving legitimate medical treatment, unless contamination is involved. In the 2009 WADC, if Athletes were “fortunate” enough to have inadvertently Used a Specified Substance then the Panel had the flexibility to settle on a sanction ranging from a reprimand and no period of Ineligibility, up to a two-year period of Ineligibility; if the Prohibited Substance was non-Specified, the shortest period of Ineligibility available was one year. This raises questions of fairness, since violations under similar factual circumstances, and with similar levels of fault are punished with very different sanctions. The 2015 WADC remedied this disparate treatment when the violation involves a Contaminated Product. No analogous exception to receive a facilitated reduction in the case of legitimate medical treatment is available, even though similar policy arguments could also be lodged in this context. Before Athletes can seek to establish a Fault-related reduction, newly under the 2015 WADC they must first avoid a finding that the violation was committed “intentionally”. This prospect poses interpretational issues for medications. According to the definition in WADC 10.2.3, “the term ‘intentional’ is meant to identify those Athletes who cheat.” However, the core of the definition defines “intentional” conduct as encompassing both knowing and reckless behaviour. Since the violations considered in this post involve the knowing administration of a medication, it can be expected that Athletes will rely on the reference to “cheating” to argue that their conduct falls outside of this definition. If they were to succeed with this line of argumentation before hearing panels, then their basic sanction starts at a two-year period of Ineligibility that is subject to further reduction for Fault-related reasons. If they were to fail, they face a strict four-year period of Ineligibility, which would inevitably raise proportionality concerns for this type of violation. The Fault-related reductions in the 2015 WADC, like those in the 2009 WADC, rest in an interpretive grey area for violations arising from legitimate medical use. A sanction can be reduced for Fault-related reasons if the Athlete can establish a factual scenario that is accepted to reflect No Fault or Negligence, or No Significant Fault or Negligence. On one hand, it is well-established that medications often contain Prohibited Substances, thus panels expect a high-level of diligence from an Athlete to avoid a violation arising from medications. Thus, these types of violations often are committed with a high level of negligence at least bordering on “significant” and at times approaching “reckless”. As to the level of Fault, CAS panels are not consistent. One CAS panel found that a legitimate medical Use of a Prohibited Substance that could have been (and eventually was) excused by a TUE can implicate only a low-level of Fault, whereas others have come to the opposite conclusion, holding that the (alleged) “legitimate therapeutic use” of a medication was “irrelevant”, and contributed to the Athlete’s significant level of Fault. In light of these different characterisations, it is difficult to predict how a panel would sanction these violations under the 2015 Code. Athletes do not have it easy when it comes to reconciling necessary medical treatment with high-level competition in sport. The conditions for claiming the right to compete despite Use of a Prohibited Substance or Method are stringent, and the procedure at times burdensome. There is no doubt that the system must strictly monitor any possible abuse of medical treatment as a cover up for doping attempts. Nevertheless, this system should not escalate into penalising Athletes who had a legitimate need for treatment and resorted in good faith to such treatment, especially since in many cases the performance-enhancing effects of the Use of a Prohibited Substance or Method are hypothetical at most. The current system requires considerable Athlete transparency in matters related to their health. The TUE process is not the only context in which Athletes may have to reveal information about medical conditions and/or ongoing treatment for these conditions. Apart from the disclosure of medication and blood transfusion that Athletes are required to make on the Doping Control form, the anti-doping proceedings themselves may bring to light information about medical conditions affecting the Athlete. This may occur either because the Athlete is bound to reveal information to build a defence, or because the detection system itself may uncover collateral data indicating a pathology – known or unknown to the Athlete. In return for these expectations, the anti-doping movement must keep in mind one of its key stated goals – the protection of the Athlete’s health – when regulating matters implicating legitimate medical treatment. This protection must include efforts to avoid the Athlete inadvertently committing an anti-doping rule violation while under therapeutic treatment, which may include more systematic labelling of medication with explicit warnings. The attentiveness to the Athlete’s health, however, could go beyond these efforts and exploit the data collected as part of Doping Control also for the benefit of the Athlete. The current regime already allows for suspected pathologies detected on the occasion of Doping Control to be communicated to the Athlete on certain specific aspects. As Athletes agree to disclose large parts of their privacy for the sake of clean sport, it might be desirable to explore paths through which clean sport might wish to pay these Athletes back by providing them and their physicians with an additional source of data on health matters, an aspect of Athlete’s lives that is always on the brink of being endangered in elite sports. Article 4.4.4 further addresses the right for Major Event Organisations to provide specific requirements for their Events ; for more details, see Rigozzi A, Viret M, Wisnosky E, Does the World Anti-Doping Code revision live up to its promises? Jusletter, 11 November 2013, n° 173 et seq. See e.g. ISTUE, Annex 2. See WADA International Standard for the Protection of Privacy and Personal Information, Annex A. See Rigozzi A, Viret M, Wisnosky E, The ISSF v. WADA CAS Award: Another Therapeutic Use Exemption Request for Beta Blockers Shot Down, Anti-Doping Blog, 10 August 2015. The Prohibited List is an “open list”, which means that simply consulting the list does not always provide a conclusive answer as to whether a particular substance or method is prohibited. Prohibited Methods (“M” classes) need by their very nature to be described in somewhat general scientific terms that always leave a certain room for interpretation (see e.g. CAS 2012/A/2997, NADA v. Y). For substances (“S” classes), the precision of the description of the prohibition under the Prohibited List varies depending on the substance at stake. Not to be confused with a Threshold concentration in the Sample. Only Salbutamol and Formoterol currently have a form of Threshold with a Decision Limit (in TD2014DL), beyond which the finding is presumed not to result from a therapeutic use and the Athlete needs to produce an administration study to invalidate the Adverse Analytical Finding. New terminology under the 2015 Prohibited List. Up to the 2014 List, “glucocorticosteroid”. In particular by finding Metabolites that differ depending on the route of administration. A solution codified e.g. in the revised TD2014MRPL, Table 1, for the glucocorticoid budesonide. The standard Doping Control Form and ISTI 7.4.5 (q) invite Athletes to disclose all recent medication, supplements and blood transfusions (for blood sampling). On the legal implications of this disclosure, see Viret M, Evidence in Anti-Doping at the Intersection of Science & Law, p. 573 et seq. On the imprecise use of the term TUE, see Viret M, Evidence in Anti-Doping at the Intersection of Science & Law, p. 379 et seq. ADOs would rely in practice on Athlete declarations on the Doping Control Form. The 2015 WADA Results Management Guidelines encourage ADOs to contact the Athlete to enquire about the route of administration if there is no TUE on the record (Section 3.4.2.2). See also our comment on the Stewart CAS award in Switzerland Anti-Doping Reports, International Sports Law Review (Sweet & Maxwell), Issue 3/15, p.61 et seq. A new provision (WADC 10.5.1.2) allows for these types of violations to be subject to a flexible zero-to-two year period of Ineligibility, regardless of the type of substance involved. “Intentional” violations draw a four-year period of Ineligibility, whereas non-“intentional” violations start with a two-year basic sanction. Only non-intentional violations are subject to further reduction for Fault-related reasons. See, more generally, on intentional doping, the contribution by Howard Jacobs in this Blog Symposium. 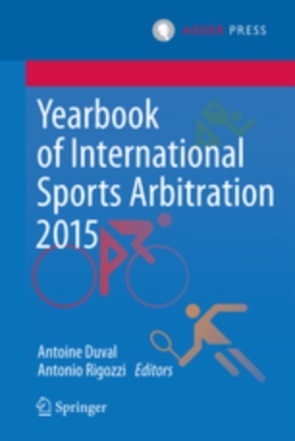 For a discussion of the expected role of the term “cheat” in establishing that a violation was “intentional”, see Rigozzi A, Haas U, Wisnosky E, Viret M, Breaking Down the Process for Determining a Basic Sanction Under the 2015 World Anti-Doping Code, International Sports Law Journal, June 10, 2015. On a related note, an argument akin to those made in the Oliveira/Foggo line of cases under the 2009 Code could also arise here: If Athletes do not have actual knowledge that their medications contain a Prohibited Substance, would purposefully consuming the product still be considered “intentional”? Article 10.2.1 places the burden of proof to establish that the violation was not “intentional” on the Athlete if the violation did not involve a Specified Substance, and on the Anti-Doping Organisation to establish that the violation was “intentional” if the violation did involve a Specified Substance. See, e.g. CAS 2014/A/3876, Stewart v. FIM, April 27, 2015, para. 79; See also, CAS 2012/A/2959, WADA v. Nilforushan, April 30, 2013, para. 8.21. In rare cases, Athletes have been able to establish No Fault or Negligence under very specific circumstances. See, e.g. CAS 2005/A/834, Dubin v. IPC, February 8, 2006. See, e.g. CAS 2014/A/3876, Stewart v. FIM, April 27, 2015, para. 84 where the CAS panel held that the Athlete’s level of Fault must be considered “light” where he was prescribed the medication by a doctor and later obtained a TUE. See also CAS 2011/A/2645, UCI v. Kolobnev, February 29, 2012, paras. 87-90, which does not specifically address the possibility of obtaining a TUE, but confirmed a first instance decision (after weighing a list of factors) that a Prohibited Substance taken for purposes unrelated to sport performance, and upon medical advice fell at “the very lowest end of the spectrum of fault”. See, e.g. the ITF Independent Anti-Doping Tribunal, ITF v. Nielsen, June 5, 2006, that found that it not relevant “whether the player might have been granted a therapeutic use exemption”. See also CAS 2008/A/1488, P. v. ITF, August 22, 2008, para. 19, which found it of “little relevance to the determination of fault that the product was prescribed with ‘professional diligence’ and ‘with a clear therapeutic intention’”. These cases were both referenced in CAS 2012/A/2959, WADA v. Nilforushan, April 30, 2013, para. 8.20. See, as a prominent example, the Claudia Pechstein saga with respect to the explanations – doping or rare pathology? - for her abnormal blood values. See the Guidelines for Reporting & Management of Human Chorionic Gonadotrophin (hCG) and Luteinizing Hormone (LH) Findings in male athletes, as well as the recommendations for ABP expert review in the Athlete Biological Passport Operating Guidelines.